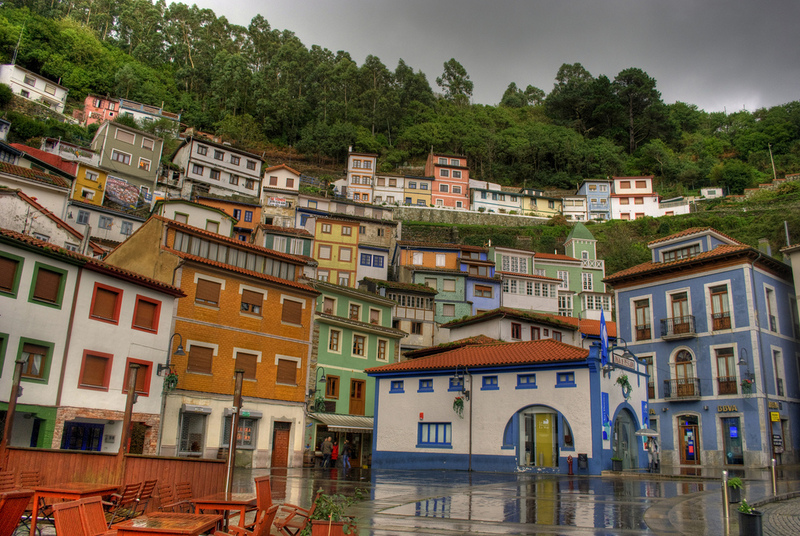 Asturias is well known to its three great historic cities: Aviles, Gijon and Oviedo. These three urban settlements stand as the three openings of the mullioned window typical of Romanesque Asturian art, which has become one of the identifying symbols of the region. Without neglecting the enormous cultural attraction that arouse the most important cities, it should be noted the existence of a multitude of small places full of great visual plasticity in Asturias. We show some of the most magical towns in the Principality. This small parish of the municipality of Ribadedeva is one of the Asturian towns with a larger number of samples of Indian architecture, a style based on large properties in Latin America that was imported by the Asturian emigrants returned in the late nineteenth century. This type of construction made a significant contribution to the historical legacy of Colombres, which until then had been relegated to a discreet background despite being a medieval settlement with interesting archaeological traces. 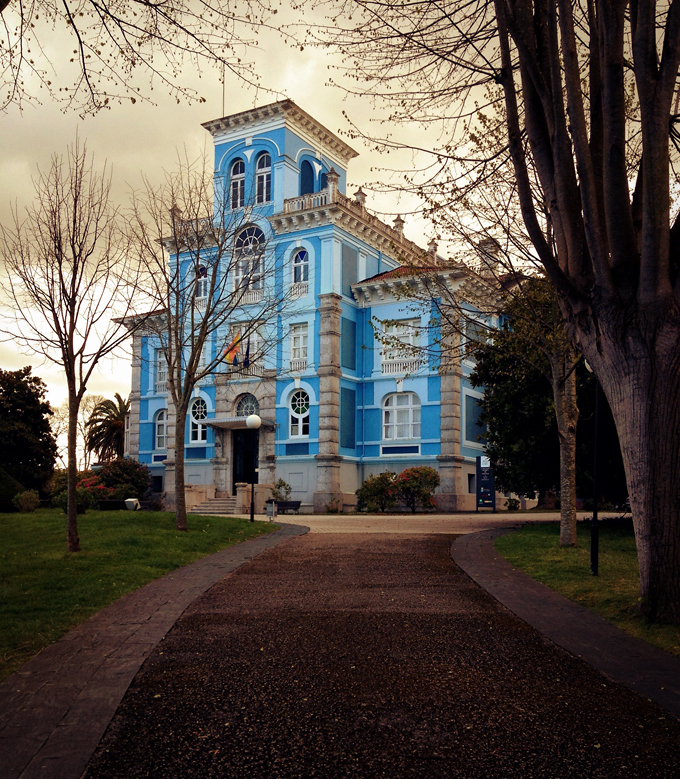 Such was the interest that local Indians brought to his parish that in one of its impressive mansions, known as the Quinta de Guadalupe, was created in 1987 the Archives of Indians, a museum and research center on the Asturian emigration to America during the nineteenth and twentieth centuries. As if it were a canvas, the sea waves seem to be drawing on the surface profiles of each of the picturesque hanging houses that populate this small coastal town. This place, which once had one of the largest fleets of all Cantabrian, is built along the slopes of three mountains surrounding it as an amphitheater. 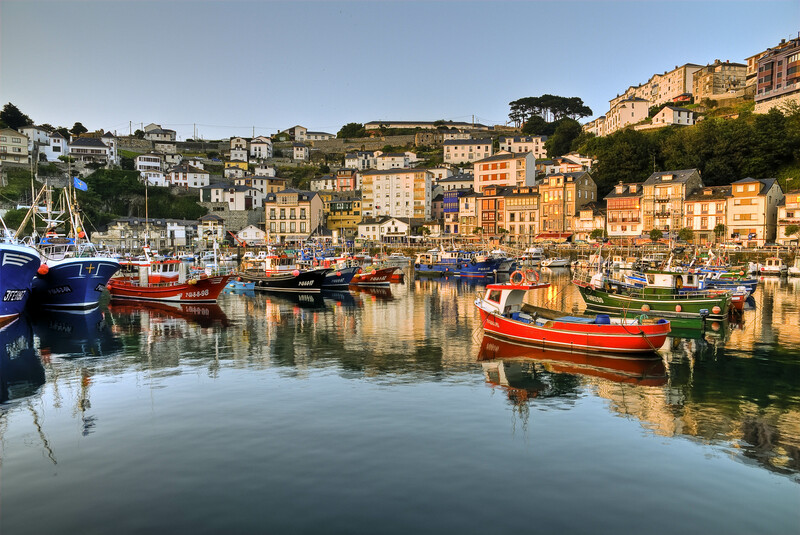 His dozens of colorful houses situated overlooking the sea, with quiet beaches that invite to merge with the environment of fishing and mountainous character, Cudillero make one of the most beautiful and photogenic towns throughout Spain. The fame of this small Asturian town began to increase since his cliff was chosen to shoot the exteriors of Antena3 series Doctor Mateo. For those fans of this television production, there is a route through which you can tour the most characteristic of scenarios collected by the cameras. Lastres is one of the most charming towns around the Principality, something that influences its structure, comprising narrow streets full of houses with glass galleries typical of traditional Asturian architecture. One of the most attractive points of the town is the viewpoint of San Roque, located in the upper town, and from which you can appreciate the stunning natural beauty of this corner of maritime tradition in its entirety. The town takes its name from the Sella River, which runs between mountains to its mouth, dividing it into two distinct areas and forming odd cave which gives a unique touch to the already if great natural beauty. The importance of the river can be seen in the festival held around the most important sporting event of Ribadesella, the Descent of the Sella, held every year on the first Saturday after the 2nd of August. Also noteworthy for its stunning natural conditions, this town known for its rich cultural and historical heritage, because it has some of the samples of rock art at national and international level, present in the Cave of Tito Bustillo, a World Heritage Site since 2008. Little more can be said of the great beauty of this town apart from clarifying that it is the most immortalized Asturian town. There have been many directors who have seen in Llanes perfect place to acclimate a fictional story. Juan Antonio Bayona filmed there The Orphanage, his mysterious debut feature. José Luis Garci did the same with his film El Abuelo, and Diagonal TV production acclimated in Llanes the series La Señora. 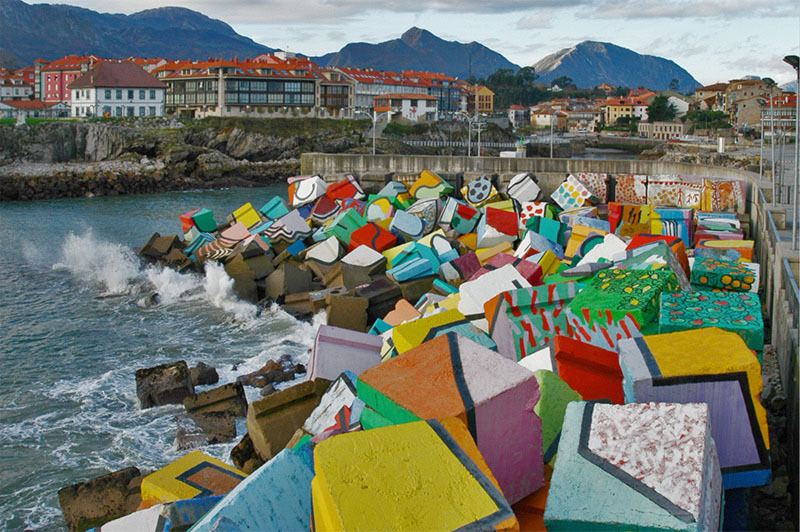 In addition to his film character, the municipality has a great artistic nature, part of which is reflected in the Cubes of Memory, a colorful work of the Basque artist Agustin Ibarrola, located in the port of the town reflect the memory of the territory the art and the author himself. Visitors should not leave without getting to Llanes Paseo de San Pedro, located right beside the sea and with stunning views. This small parish of the municipality of Valdés has been dubbed the Villa Blanca of the Costa Verde for its white houses with slate roofs characteristics of a typical Galician architecture in the nearby towns. One of the biggest attractions is its spectacular cemetery Luarca, one of the most beautiful in Spain and in which lie the remains of Nobel Medicine Severo Ochoa, a native of the town Prize in physiology. ‘The Watchtower’, which is the name given to the promontory on which the cemetery is located, is the place with the best views of the villa. From here, one can see in detail the small fishing port and the beautiful bay.